Our English Bibles are translations of the original Greek, Hebrew and Aramaic texts. When we read the names "God", "Lord", etc, these are not always direct translations of the original languages. 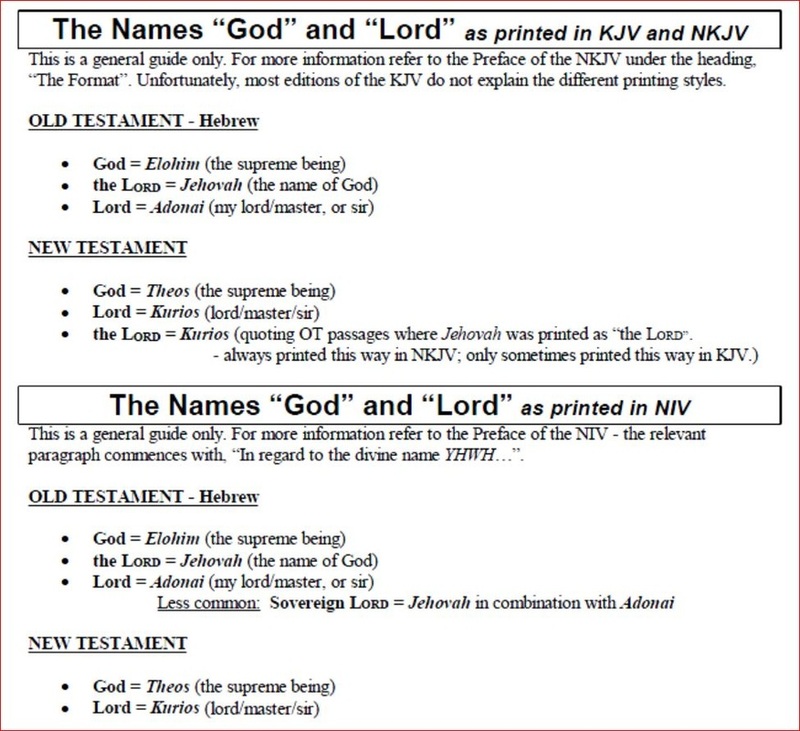 Below is an introductory guide, but the Preface of your Bible version should be consulted to see how the translators have dealt with other variations not listed below.